Declan Conlon is The Irish Times’s podcast producer. Davy Sims and he met in their radio studio in a converted office just off the main newsroom. "Podcasting for Communities" and "Podcasting for Journalism Students" are guides to help you and your team learn about podcast and community radio production. They are written by Davy Sims a 40 year veteran of BBC, radio, and web production. Podcasting for Student Journalists paperback here and e-book here. Both books have essentially the same information. The music used in this podcast episode is Cloudline from the Blue Dot Sessions’ Album K4. Find it on the Free Music Archive. Downhill Racer by Blue Dot Sessions is licensed under a Attribution-NonCommercial License. As we reach episode 21 … this is the story so far. Now the podcast is part of a project with two books Podcasting for Communities and Podcasting for Student Journalists. Along with this blog they are a guide for anyone who wants learn to produce podcasts or community radio. I’m Davy Sims and I’ve been making radio since 1979 and producing podcasts since 2008. And in this episode, we listen back to some of the people who have offered the project their expertise and insight. In this project so far, I’ve focused on five production skills – reading, writing, recording, interviewing and editing. And I’ve looked at production strategies such as structure, technical challenges, organising a production team, podcast platforms, community management and … to begin with … purpose which, among other subjects, Larry Gifford of the Radio Stuff podcast covered. That idea of intention or purpose is found in every aspect of production. BBC News anchor Maxine Mawhinney also spoke about interviewing and said you should start by thinking about the end and what you want from the interview. Alex Bell and Freddy Soames are two QI elves. Freddy was responsible for the initial technical set up for the No Such Thing as a Fish podcast, even though at the time he knew nothing about recording audio … and he had a lot of challenges to overcome. Willis McBrier who lectures in Creative Media at Belfast Metropolitan College and former BBC where he worked as a broadcast and communications engineer also talked about microphones and recording audio. Mitch Lafon is a music journalist from Montreal. He specialises in interviewing high profile rock musicians. Yet his podcast – One to One with Mitch Lafon - contains absolutely no music. That is – more or less – the story so far with the Podcasting For project. But I want to finish with a couple of thoughts. The first is about persistence, getting someone to answer that question. Barbara McCann is a long established journalist – she reported from the first Gulf War for UK television. She still works on radio and TV and has her own production company. One day she was at the Northern Ireland Assembly at Stormont in Belfast. A banker had been giving evidence to Stormont committee. She wanted him to ask a question and he was the one who ended up looking silly. To end we go back to the beginning and ask “Why podcast?” Olly Mann from Answer Me This, the Media Podcast, Modern Mann and more shares his thoughts. The music used in this podcast episode is Downhill Racer from the Blue Dot Sessions’ Album K4. Find it on the Free Music Archive. Downhill Racer by Blue Dot Sessions is licensed under a Attribution-NonCommercial License. Fish is more than a comedy podcast, though. It is witty and interesting and there is never an episode that you don’t come away from wanting to tell everyone about some weird fact or facts you’ve learned. Which is sort of the way it started. And yes I am a fan. As far as I can establish, it’s the first UK podcast that’s been commissioned as a TV series. No Such Thing as the News. The TV show and the podcast have more or less the same format – four people riffing on strange and obscure facts and laughing quite a lot. They are QI Elves. Fish does not live alone in the media ecosystem. It is related to the TV series QI and the BBC Radio 4 series the Museum of Curiosity. And I’m a fan of those, too. You can trace Fish’s ancestors right back to Hitch Hiker’s Guide to the Galaxy and before. I wanted to talk to some of the QI Elves about No Such Thing as a Fish, not only because I’m a fan, but because of the technical and production approach they take. No radio studios are used in the making of the show. I wanted to know how they do what they do. Alex Bell is occasionally a member of the podcast panel. As well as researching he edits No Such Thing as the News. Freddy Soames was responsible for the very simple and very effective technical set up for the podcast. But inadvertently is responsible for one of the enduring images of both the podcast and TV programme; the microphones. The podcast started in March 2014 – you can still hear the first episode on the website – and as I write this, the team have reached episode 148. If you are starting out on your podcast unless you have a deep understanding of audio and audio recording, one of the most difficult things to work out is what microphones to use. It’s all well and good hiring a studio – supposing you can afford such a thing – but a studio might not help create the atmosphere you want for the show. One of the characteristics of No Such Thing as a Fish is that it is not studio bound. It has the atmosphere of something thrown together just for the fun. It sounds like a bunch of friends sitting around in an office. The podcast is on the website and if you missed the two TV series, they are on YouTube. Barbara McCann has been a journalist in radio, television and print since the late 1970s. In this edition of “Podcasting for … (communities, journalism students, anyone interested)”, we talk about interviewing and writing for radio (and podcasts). Along with reading, writing, recording and editing, Interviewing is one of the key skills for podcast and radio production. I write about them all in the book Podcasting for Communities. I also wanted Barbara to share some tips on writing for radio. She told me about the first big lesson she learned. “On my very first day back in Downtown Radio, the great Harry Castles handed me a press release and said “Write that up for me.” So, I spent about an hour writing five or six hundred words. This was for radio.” She laughed at the memory. 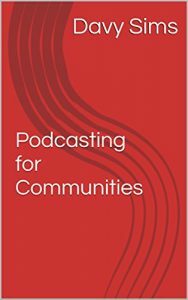 "Podcasting for Communities" is a guide to help you and your team learn about podcast and community radio production.It is written by Davy Sims a 40 year veteran of BBC, radio, and web production. The book is available for Kindle from Amazon. Combined with these podcasts and this blog, it is a simple introduction to production and is equally relevant to community radio broadcasters, producers and managers. Read more about it here on this blog. Barbara McCann has been a journalist in radio, television and print since the late 1970s. I interviewed her for the Podcasting for Communities series and in the next episode Barbara discusses interviewing. Along with reading, writing, recording and editing, Interviewing is one of the key skills for podcast and radio production. I write about them all in the book Podcasting for Communities. I’ll be posting the full interview with Barbara on 12 January 2017. You can subscribe and download from iTunes, Stitcher, Tune In and Libsyn. As an anchor on the BBC News channel, Maxine Mawhinney probably spends more time interviewing than anything else. The interviewees will be in the studio or remote – somewhere else in the country or really, anywhere in the world. Sometimes they will be in a different studio, or on Skype or a phone. She will talk to correspondents, reporters, eye-witnesses, politicians, business people … anyone. And news being news, Maxine might not get much notice about who she is about to quiz and what she’s going to ask them about . Starting her career almost 40 years ago in a local newspaper Maxine has worked in print, radio and TV. She has covered all sorts of stories from court reports in the Bangor (now County Down) Spectator to high politics in the USA as Washington Correspondent for the national UK television network GMTV. We also talked about writing and reading scripts and in particularly sight reading scripts written by someone else. Podcasting for Communities is a guide to help you and your team learn about podcast and community radio production.It is written by Davy Sims a 40 year veteran of BBC, radio, and web production. The book is available for Kindle from Amazon. Combined with these podcasts and this blog, it is a simple introduction to production and is equally relevant to community radio broadcasters, producers and managers. Read more about it here on this blog. Downhill Racer by Blue Dot Sessions is licensed under a Attribution-NonCommercial License. This is Podcasting for communities – the starter’s guide to podcasting and community radio production. You can subscribe and download from iTunes, Siticher, Tune In and Libsyn. Did you know if you have a high voice – you can lower it using a tube of Pringles? BBC News Channel anchor Maxine Mawhinney explained how and why those crispy snacks can improve your microphone skills. In the next full length episode of podcasting for communities, I’ll be talking to Maxine Mawhinney about interviewing and presenting. With almost 40 years’ experience in journalism and broadcasting, Maxine presents 5 hour TV shifts and trains journalists at the BBC Academy. You can find out more and subscribe at podcastingfor.com and hear other interviews with radio presenters and journalists about the skills of the trade. Subscribe now and get all the episodes automatically. A friend – a journalist with decades of experience – asked me about starting a podcast – but nothing too complicated. She needed a simple podcasting tool that didn’t require a lot of setting up, carrying equipment, or lots of faffing around. I had a look around for something that is new, uncomplicated and effective. I found Opinion – an iPhone app from a Swedish company. It is as good a place as any to start; better than most. You can edit the recording – proper editing not just top and tail. You can get unlimited space for <£3! The first 10 minutes is free. It it iTunes friendly (i.e.you can fill in minimal information and submit to iTunes – I guess you have to do that separately. Being an iPhone you can’t easily monitor the recording. You can’t sign into the website. You can’t embed to a blog, however you can share on Twitter and embed the Tweet into the blog. Difficult to record a group of people. My initial impression was that the sound from the website is a bit “mid range”. But I have listened more on other devices and actually the sound is pretty good. … 10 minutes later the music library hasn’t loaded. If you decide to test it, be careful as you fill in the information on the first window. We casually talk about a podcast as if that is the same as a programme. A podcast is the strand (Book at Bedtime) and each edition is an “episode”. So the Podcast title will be something like “My Mobile Impressions” with episode titles like “Air line strike”, “My book of the year”, “Why we need to eat more chocolate” and so on. This is a good simple starting tool which sticks to the principles and doesn’t get too complicated. Not sure about the music library – 20 minutes later, still leading. If you have an Android phone, then Soundcloud is your best bet. In this episode, Davy Sims talks to rock journalist and podcaster Mitch Lafon. He has been writing and then podcasting about music since he was 11 years old. One on One with Mitch Lafon offers something that many music podcasts don’t. I have mentioned several times in earlier episodes that using music on podcasts can be problematic – rights, costs, permissions all can be difficult. Podcasting for Communities is not meant to be a book you begin reading at page one and work your way through. It is intended to be something you refer to when you want to understand or learn more about radio production and podcasting. The book is available for Kindle from Amazon. When I was about 12 or 13 and at school, a teacher would tell the class to write an essay or a report on something or another and the first question from my classmates would be “Sir, sir” – they were almost all sirs. “Sir, how long sir?” When we were younger the answer would be one or two pages. When we got older the length was measured in words. 500 words was a lot. 1000 words was a punishment. Pity the poor teacher who had to read 30 500 word essays or worse 30000 badly written and smudged words, scribbled in exercise books as quickly as we possible could. We were not thinking about our audience. If we were, we would probably have done a better job, and got a better mark. In radio, we are trained to work in blocks. A commercial radio station might work in 12 or 15 minute segment. BBC tended to work in 15, 30, 45 and 60 minute segments which included announcements, credits and time removed to trailing other programmes. These days the shortest scheduled radio programme I know is BBC Radio 4’s Tweet of the Day at just two minutes. If a programme is too long it will “Crash the pips”. That is get caught up in the Greenwich time signal. No? The noise that goes: pip, pip, pip, pip, pip, piiip. Too short and there will be dead air – silence. Crashing the pips and dead air are the second greatest sins of radio the first two are failing to turn up on time and swearing in front of a microphone. You don’t get those sins in podcasting. Except being too long because you have taken a lazy approach to editing. Or being too short and you don’t tell all the story you set out to do. Put the listener first. The only important time, is the time you are going to talk from them. Make their time worthwhile. So don’t get too obsessed about the length. Focus on the narrative, the story you want to tell or your interview wants to tell. Edit out all that distracts from the story. Add pauses and music and your own commentary as you need them to move the story along. When it’s finished, check the duration. Does it feel right? Can you remove more? In this series I’m talking to podcasters, producers, writers and broadcasters about their work and their approach to podcasting. In this episode I’m talking to Belfast journalist Malachi O’Doherty who I have known and worked with for around 30 years. His was one of the first voices in this series. For the price a pot of tea and a bowl of soup Belfast’s legendary Book Finders shop and cafe allowed Malachi and me sit for over an hour to talk and think about what it is that we do. Malachi is an early adopter of putting audio on his websites – long before podcasting existed he was using the web to archive his work. Trying to Malachi into any convenient category is far from easy. His work, hobbies and interests constantly overlap. But the core is journalism. Malachi is always searching for a story to tell. He is a podcaster, photographer, journalist, writer, commentator in print and broadcast media. But he uses the web as his archive where he shares more than just reports. Some people may know Malachi as a columnist for the Belfast Telegraph. I first met him when he was a freelance radio reporter in BBC Radio Ulster . He still reports and makes documentaries. Malachi loves the kit: a fountain pen, a crisp new notebook, a Sony audio recorder, an SLR camera. He enjoys the platform and the format, YouTube, Podcast, Belfast Telegraph, Speaking to a crowd in a lecture theatre. Chiefly he is a story teller; he has more stories to tell than there is time to tell them all. And a good podcaster is a story teller. From the Free Music Archive. Once again we turn our attention to music. I like music. I like music in podcasts. But as I have pointed out on the blog and in earlier episodes, using music is complicated. You can’t use just any song or instrumental, unless you have a license and that can cost a lot of money – see the blogpost on PRS. 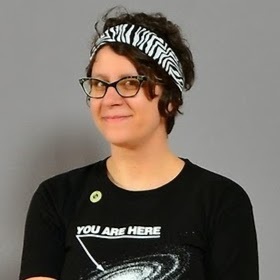 In an earlier podcast I spoke to Cheyenne Hohman of the Free Music Archive which is a fantastic resource of over 100,000 pieces of music, many of them free to used in a podcast or video. Jukedeck has its origins at Cambridge University, where a team of composers, producers, engineers, academics and machine learning experts got together. There is a pricing plan if you want a more serious relationship with Jukedeck. So for example if you subscribe to Jukedeck Gold, you can download your music with higher quality audio - in WAV form instead of MP3. Find out more about Jukedeck at jukedeck.com. If you want to learn about podcasting you can find out more than you ever thought you needed in the book Podcasting For Communities on Amazon. Then I searched “open source music” and found a treasure trove called the Free Music Archive. That’s where I found the music I use in the Podasting For podcast – Cloudline from the Blue Dot sessions. Find out more than you thought you ever needed to know at podcastingfor.com or search Amazon for the ebook Podcasting for Communities. About 20 years ago some of us had our first experience building websites with Angelfire and Geocities. They gave ordinary untrained people their first chance to be creative on the web. Yes, many of the early websites we built were ugly – well, mine were. They were certainly unplanned and a bit embarrassing. As people developed their skills, so the websites improved. I think that is just where we are now with podcasting. People are hearing about podcasts. They are subscribing, downloading and listening to them. And now they are making podcasts. Now, everyone can make their own radio programmes. We can all be podcasters now because the production tools have never been so cheap (and free!). You can experiment with podcasting without having to spend any money. Even listing our podcasts on iTunes is simpler than ever before. There are more tools available to us and they are easier to understand. So, why should community groups and organisations start podcasting? You can use podcasting to talk directly to people who make things happen. Who are the people who really need to know what your organisation is up to? Politicians, decision makers, grant making bodies, local businesses who you want to recruit as supporters and funders? You might want to change government policy. There might be something going on that concerns the community and you want to bring that to the attention of people who can do something about it. You might want to campaign for change. These are all vital community exercises and a podcast – while it’ll not fix a problem alone – is one of the tools you can use to get those people to listen to you, especially people in power and perhaps even the mainstream media. You might just want to promote your organisation, tell people what you are up to, recruit new members, get talked about in a positive way. Organisations need promotion and publicity. They need people to know about the difference they are making. A podcast can get directly to your audience without having to ask the support of other media. So what do you say and how do you say it? Well, you don’ t berate and bark, shout and complain. You don’t want to boast or brag, either. As much as you might want to do all of those things. Your listener is just going to switch off. You should tell stories, stories about people, their lives and experiences. You need to carefully chose those stories and use words and voices to conjure up images. Podcasting done well is storytelling. You can use the audio along with your blog or website to tell your story for others to hear and understand. Be interesting, be amusing, captivate your listener, charm your listener. In a world where media seems almost entirely video driven, tell stories in your own words to inspire the cinema of the mind. There are two versions of this edition. This is the shorter one. The other is the downloadable version. You can find it on Johnny Seifert's page on podcastingfor.com. In the longer version my guest Johnny Seifert spends extra time talking about editing on Audacity. Stick with us, all will be explained. Johnny Seifert is part of the production team at TalkRADIO in London. He is the showbiz expert and a producer on the Paul Ross Full Set Breakfast show. For his day to day work, he does the recorded and live showbiz bulletins, and he books and interviews celebrity guests. He also produces a weekly podcast made from the best bits from Paul Ross’s show. He is something of a radio enthusiast as well as being an award winning radio professional and a member of the Radio Academy. Johnny’s a radio producer and that’s what I wanted to talk to him about. I wanted to hear what it is that he does to produce a podcast. That’s mostly in a studio cutting and mixing audio. He talks about structure, planning and mixing a podcast and he talks about editing on Audacity in the longer version of this podcast. In the book Podcasting for Communities, there is a long section on structure, … how and what to plan, simple approaches and more complex structures. But don’t get caught up in that as you are starting out. Sometimes the structure is no more than "Hello --- Here’s the story --- Bye bye". One of the thornier problems for you and me is using music. TalkRADIO and other professional radio stations will have licences for playing music. You and I can buy a licence, but they are expensive. You can read about using commercial music on your podcasts here in this article about the Performing Rights Society. Johnny also talks about microphones and recording on an iPhone. There is more about microphones and audio recording here. Just yesterday, I got a call from a young magazine publisher. He had heard about Podcasting for Communities from a mutual friend and wanted to find out how to start a podcast for the magazine. He said that they had been thinking about it for a while and wanted to ask me about what equipment he should buy. That's where a lot of people think the starting point is. To be honest, so did I at one time. But it is not. The starting point is exactly the same as any other project - you don't buy the kit before you know what you want to do. You start with The Purpose. Yep, you and the people you're starting out with might be all excited about the shiny new things - and let's face it, who wouldn't be? - but that is for a little later on. If you are in a community group, discuss the project with the whole team so everyone buys into the idea. Even if you are a one person operation – many podcasters are – you should still think this through for yourself. And yes, write it down and every few weeks, re-read the purpose and ask, “Is this what we're really doing?." And maybe once every six months ask yourself if the purpose is still relevant. As other volunteers join your team you can talk to them about the purpose and describe what it is you are all trying to achieve together. Once that's sorted out, you are probably going to think about the format or formats you are going to use. You'll be a few steps closer to the shiny new things. As your podcast or project continues, you are going to wonder if you are having any impact. Only you can define what you want to achieve with your project. Even though seems like early days, this is also the time to decide how you are going to evaluate the podcast. To know if you're making any difference, you need to know what to measure. I strongly suggest you build in how you are going to evaluate the podcast at this early stage. The magazine publisher was off to a good start. The magazine had a very specific purpose. We talked about that and began to discuss formats. What's the takeaway from this? Podcasting is like any other project you do. If you want to start something, start at the beginning. It’s more than 10 years since Olly Mann began podcasting. He’s now one of the most prolific and popular podcasters in the UK. When he and Helen Zaltzman started Answer Me This, hardly anyone knew what a podcast was. When the Guardian stopped making their weekly media podcast, Olly, who was a contributor became part of the team that established The Media Podcast which is still going strong. To The Media Podcast, you can add The Guardian's Tech Weekly, and more recently his new podcast The Modern Mann plus his work in radio. Olly has plenty of advice for podcasters who are just starting out. The whole show this time is an interview with Olly Mann. This edition of the Podcasting for is all about recording audio. I’m talking to an old friend Willis McBrier – we talk a lot. The conversation is in two parts. First it’s about sound itself, ambience, record levels, psychoacoustics. In the second, we talk microphones and there are some examples of what a podcaster might use. Willis McBrier lectures in Creative Media at Belfast Metropolitan College. His career began over 30 years ago at the BBC as a broadcast and communications engineer and more recently, a trainer. Sound … the recording of sound … the creation of sound … the celebration of sound and music runs in Willis’s family. Both his daughter and son have their own music projects: Sarah runs an Audio Visual Arts festival of electronic music Audio Visual Arts and Matt is a music entrepreneur – his project is called Feel My Bicep. Willis and I met in Belfast’s Oh Yeah Centre. A place that also celebrates sound in particular the history of music in Northern Ireland. And it nurtures new music in Belfast and beyond. I’m using it under the Creative Commons Attribution Non Commercial Licence. The main interview in this episode of Podcasting For ... is radio consultant and podcaster, Larry Gifford. Larry produces “The Radio Stuff”. In the book Podcasting for Communities, I outline five essential skills a podcaster or a radio production team need to perfect: writing … reading … interviewing … recording … and editing. In this edition, Larry talks about how he taught himself to write a script, what he has learned about interviewing , and working in a team. Larry has an impressive CV. He has just moved to Canada but began working in radio in 1990. His career has taken him from the east of the country to the west coast, but it all began in the mid-west, in Columbus Ohio as what he calls a “catch-all employee” doing whatever needed to be done, including some on air work. Before too long he became a full time anchor and reporter. His first move was only about 70 miles when he began working on a news and talk morning show in Dayton Ohio. Then he headed east to become sports director of an FM station in Philadelphia. Larry went on to the west coast where the idea of The Radio Stuff podcast was born. “It takes a lot of steps to put together a podcast well. You can put together a podcast, but it doesn't mean it's going to be a good podcast. So you need to sort out all the roles so the quality of the podcast is to your expectations and to the listeners' expectations. These podcasts are for people who are beginning to produce their own audio and want to get some ideas, and learn how to do it better. Everyone is welcome to listen, because there is always something new to learn.